Phone sizes grew drastically in a year, are you tired of 6-inchers? In a breath of fresh air, Korean media reported recently that Samsung may break the Galaxy S-line mold, and introduce three S10 versions, and one may be a basic model with flat display closer to the 5" range. One might be a cynic and say that's exactly mimicking Apple's strategy with three 2018 iPhones primed for release, but if these rumors hold water in the end, Samsung may have a veritable hit on its hands. Look around, do you see any popular compact Androids released in the last year or so? It's a 5.7-incher next to a 6-incher next to a 6"+ behemoth. No amount of bezel-cutting, notch-ing or camera-popping can hide the fact that most flagships released since last spring are hovering around the 6" screen diagonal mark. Granted, the switch to an 18:9 aspect ratio (or thereabouts) makes them more palpable to use than the 16:9 units of yesteryear, but, please, can one get a break from huge phones? Here's a little statistic for you - screen sizes for popular phones from some best-selling Android brands issued 2016-2018. Quick calculation pegs the increase in the average screen size of the devices listed to go from 5.25" in 2016 to 5.46" in 2017. That's a 4% increase which is in line with the norms in previous years. From 2017 to this year, however, the models grew to the whopping 6.05 inches on average for the popular 2018 models above. That's 11% increase in screen sizes for the last year or so and has never happened before. 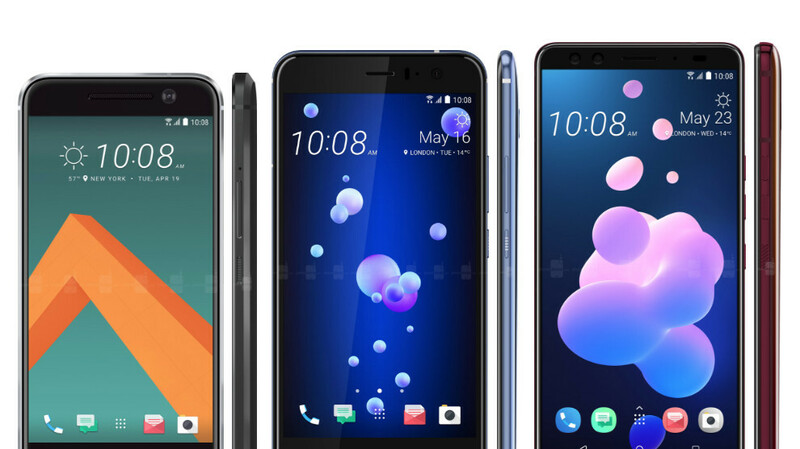 Granted, some of the humongous diagonals' footprint is offset by the move to a taller and narrower aspect ratio, but looking at the phones' dimensions, we can easily see that the growth between 2016 and 2018 is gigantic. There is barely a handset that fits well in the palm and can be comfortably operated with one hand anymore, and the trend is moving downmarket as well - the most popular Redmi line of Xiaomi that sells millions upon millions went from 5-inchers straight to 6-inchers, for instance, and, despite the bezel trimming or the narrower aspect ratio, the resulting models are still way larger than their predecessors. That is why we were curious to take your opinion on this trend that nobody asked us about, of huge 6-inchers that are in most of the cases uncomfortable to carry and operate. Heck, Apple is going to do the same with this year's iPhones, rumored to start from 5.8 inches, while the largest iPhone ever is said to land at 6.4", and Samsung may have an answer to it with a 6.4" S10+ of its own. Where's that going to end? You probably understand why are we rooting for a rumored basic S10 with a smaller flat screen now, so take your pick, and sound off in the comments. Are you tired of the 6-inch phones tsunami? It's the phone width that has gone mad, the S8, s9 & Lg7 are the best normal sized phones. Maybe you should sit the next couple of plays out. Every smartphone maker should have a compact line of phones. Yes! Without losing anything (like Google pixel does). you got a point. it seems as though nearly every major OEM that put out a compact phone had also released a larger model with a painfully obvious difference in both quality and features. Not that no one wanted smaller phones...No one wanted to look like an idiot leaving a store with the smaller device that had less features for a small difference of what it cost to get the larger showcased on display right next to it. PA, could you use some proper math please? Comparing a 16:9 phone and 18:9 (or even 18.5:9) by the diagonal simply doesn't make sense. If my thumb ain't reaching the corners, it's big. This. And because hand size varies, they should have different size (flagship) phones. Sony Compacts are lacking competition. A 5" 16:9 with very minimal bezels would be a pretty small phone. Comparable to XZ1 or XZ2 Compact. 6-inch phones are only here because the Chinese manufacturers just cannot fit their components (especially batteries) inside smaller phones. Doesn't a low screen to body ratio mean big bezels? As of now, this poll shows almost half want smaller phones. I don't expect it to get much different till the med, may be 40/60 compact/large. The reality is however compact phones are only a mere 5% if not even less of produced phones. Sad story. It is a sad story. I'm tired of hearing about these phones that sound cool but then they are SO big. I would like an Android phone that is new but a little smaller than the iPhone 7/8 and not as wide. Trying the XZ2 Compact was really nice, I just wish that it worked for me. I wonder - Have any of them actually bought the size of phone they voted for? Hoping Pixel 3 will be smaller than Pixel 2. If it isn't, F that. Me too. I was so sad to learn that the Pixel 2 was noticeably taller than the first Pixel. I had to try it anyway and it didn't work out for me because of the height. It won't be. the leaks suggest it has a 5.3" display and judging by the screen protector leaks, I'd say it is 16:9. So, it's gonna be bigger than the Pixel 3. Nah, I simply went and bought (much) bigger pants. You can't buy bigger hands. And if you can't fully use it with one hand, then it's too big. It may less comfortable. But can't give up big screen. I use my phone heavily for media and browsing, rarely I watched videos on laptop or TV. My GF tells me 4" is just fine.